Please know that the physical addresses of our locations, except San Diego, are private training courses and therefore not made visible on our site or open to the general public. However, our corporate facility in San Diego, California is located at: 1675 Pioneer Way #C, El Cajon California 92020 (which is a community on the east side of San Diego). One reason for this is because there are usually only one to two instructors on staff and no need for a front counter person or sales team; as this is one way we are able to keep the tuition costs down for you! Also, please know we have been doing this registration process since 1997 in order to protect your training experience by avoiding interruptions with any locals wanting to "just stop in" and request information that not only can easily be found on the website, but are always wanting to take a tour of the facility during "your" class time. That being said, once your registration is completed, we will then provide you with an address so you can begin making your travel arrangements and book a hotel in the area; as there are plenty of options to choose from. We know this process may seem unusual to some, but all our serious students agree that the location/address is really irrelevant to the training itself. And if you ask any one of our graduates, they will tell you this process is totally appreciated and they just love the training environment once they’ve arrived…but don’t take our word for it; click HERE and see for yourself! So, when it comes to your future don’t settle for second best and have a little faith along with a sense of adventure, as you will receive a training experience that’s so much more than the installation itself and taught in a way that no other school in the world can compare too…that’s a promise. 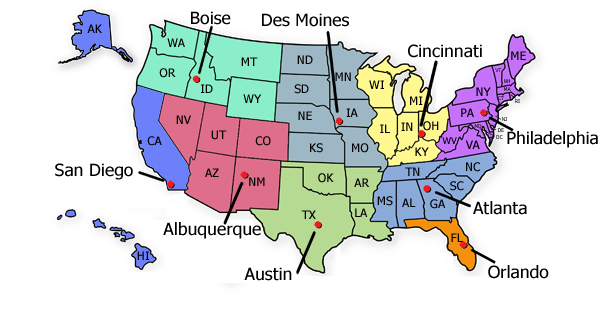 Please click on a city below to contact us and request registration availability updates in your area; as they change on a daily bases. All other information such as Start Dates, tuition fees, class hours, curriculum/syllabus and more can easily be found (mostly within the first paragraph) by clicking on anyone of the "course links" above, or if you are unable to see the link buttons above, click on the text links at the bottom of this page to open the course(s) info page of your choice. Thank you!